If you like this blog, send it to 3 (or more) of your friends and encourage them to sign up. Let’s get the conversation going! does in repertory from March through October. Though I can’t walk as far as I did the last time I was here, and my speech is more impaired, I can still enjoy the theater, and I do. Despite its name, OSF does a lot of plays that were not written by William Shakespeare. Each year, the company produces 12 plays (by high season in summer, there are 5 productions a day, in 3 theaters). No more than 4 of those 12 are by Shakespeare. On this trip, we saw 3 plays – The Imaginary Invalid by Moliere (fabulous! ), To Kill a Mockingbird, based on the book by Harper Lee (also fabulous), and a new play called The Language Archive by Julia Cho (very intriguing and well done). We have routines here. They involve walking around the main drag, having lunch (and sometimes dinner) at a restaurant called Pangea, eating chocolate-covered frozen bananas for dessert from the local Rocky Mountain Chocolate Factory, discussing the plays, and playing table top games. Very relaxing, in an intense theater-going kind of way. At the end of our lunch one day at Pangea, as we were about to head off to our afternoon play, I had to wait for a restroom to become available. The woman who came out of the restroom for which I was waiting stopped when she saw me and asked whether the microphone I was wearing was because I was having trouble with my speech. I told her yes, and she explained that she has a friend with Parkinson’s disease who is having trouble with her speech. I showed her the voice amplifier I use, told her the name of the company that makes it and explained that I found it on line for about not very much money. The woman who asked me about the device was so pleased! Here was something so simple — and so relatively inexpensive — that might actually help her friend. That exchange of information outside the restroom in Ashland reminded me of a phone conversation I had back in 2004 with a woman named Amy Langer, the founder and CEO of an organization called NABCO – the National Alliance of Breast Cancer Organizations. (NABCO was a national organization, but it wasn’t really an alliance of breast cancer organizations, and the kind of information they provided reflected the enormous amount of funding that NABCO got from the pharmaceutical industry – but that’s a topic for another blog.) Amy had called to tell me that NABCO was closing. One of the reasons was that the kind of support that NABCO offered to breast cancer patients by connecting them to each other was, in Amy’s view, going to be less and less needed, as more information became available in other ways. I thought Amy was wrong then. People always want to connect with others who have had experience with whatever they are confronting. A website or a book doesn’t do the trick. The number of calls and emails that Breast Cancer Action got when I was there (and still gets, I’m sure) from women wanting to know something they can find out only by connecting with others with breast cancer, as well as the ongoing appeal of support groups for people who are ill, is a testament to how wrong Ms. Langer was in 2004. 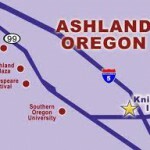 And my experience in Ashland with the voice amplifier tells me that the need to connect – and the value of connecting – to exchange useful information is real for all sorts of conditions. When I saw the therapist again more recently, she urged me to use the amplifier all the time, so I wouldn’t find myself in situations where I was straining my voice unnecessarily. So I’ve started doing that. I walk around now with a little black box (that is not a smart phone) on my hip, with a wire that runs from it to the headset I wear. The headset has a microphone that is very noticeable. I’ve been asked by people whether I’m on the phone, on the air, or projecting my voice for fun. I’ve taken to explaining — with humor, of course — that I’m impersonating Lady Gaga. Turns out, the credit actually goes to Madonna, as Peg Stevenson appropriately points out in a recent comment. I’m sure many people wonder about why I’m wearing this thing, but don’t ask. I see the looks on peoples’ faces. But when people do ask, I’m happy to try to explain, especially if what I’ve learned can be helpful to someone else. I’m damned if I know why doctors who treat Parkinson’s patients don’t know about voice amplifiers, or, if they do, don’t recommend them to their patients who having trouble speaking. But I’m very glad that I do, and I’m happy to help provide other people with helpful information. I trust they will share with me, too. And when someone figures out how to keep the voice amplifier from its awful — but not frequent — feedback, I would be delighted — as would all the people around me – if they would share that information! If we stay connected, we all do better. This entry was posted in ALS Treatment, Illness and tagged Aker, Forbes Norris Center, helping each other, Langer, Luminaud, NABCO, Parkinson's Disease, speech impairment, voice amplifier. Bookmark the permalink. Well if Susie hides the Aker???? Abby, by way of small world, it’s THAT Lynne Carmichael. Barbara (or should I say Lady Ba Ba? ), your point is well taken re: how valuable it can be for people in similar situations to share information and offer support. When I was a volunteer facilitator for hospice grief support groups, I was always surprised at how people would open up once they knew they could actually help someone else by sharing their own experiences or could ask for information or advice when they realized that their situation was not unique. And even with online support groups, etc., nothing can compare with face-to-face interactions. BB I am suprised at you! Do I really need to remind you who was out there blazing the trail for headsets before Lady Gaga was a pup? Our own Material Girl. Now what you need is the outfit. Thanks for the story about the plays and helping one person who will of course pass on the information to others. My older sister would go every year with friends to Ashland and loves it there. You are still my hero and because of you I have remained an active advocate for many years. I wish you and Susie only good days. Barbara, Thank you for reminding us that we all need to speak up. And as we know women do it better. It’s those moments of connection with complete strangers that often make our day. Not sure why, but I immediately thought of that line from Search for Intelligent Life about why don’t we encourage schizophrenics to walk around in pairs so it would look like they were having a conversation? Or something like that. We’re going to the theatre tonight for the first time since the Battle of Gettysburg — Williams’ “Baby Doll,” which I’ve never seen or even heard of, though I probably read the short story it was based on during my “Williams Phase.” Too bad that didn’t work out for me. If it had, I’d be in Key West right now with a couple of six-toed cats. Instead … well, YOU know. xoxoxo. 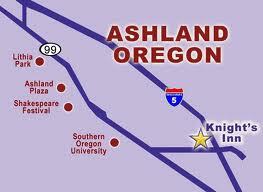 Where do you stay in Ashland? Do they have fully accessible roll in showers? And is it in the downtown theater area or outside the town? What about the theaters and their bathrooms-how accessible are they for power wheelchairs? I find that when I call about these questions, the answers don’t feel reliable. Thanks. ALS since 2009. The last time we were in Ashland, my condition didn’t require accessible space. We’re going again this May, and will be staying at the Stratford Inn. The Inn is at the edge of downtown, and easy walk to the theaters for able-bodied people, and your power chair will do fin. My partner called and was reassured with the answers. There are also accessible rooms at the Ashland Springs Hotel, but that was booked. The theaters are accessible for power wheelchairs, I believe, as I will be testing those in May. Bathrooms are always a challenge, and I can’t say I know the answer to that question for the theaters. I know that the main woman’s bathroom in the Elizabethan theater is not accessible for wheelchairs, but I think there is a ground level bathroom. The theater area is in the heart of downtown. I suggest you contact the Oregon Shakespeare Festival and ask any questions you have. If you don’t get answers that satisfy you, please let me know.